world. We believe and teach that salvation is by repentance, grace, and through faith. 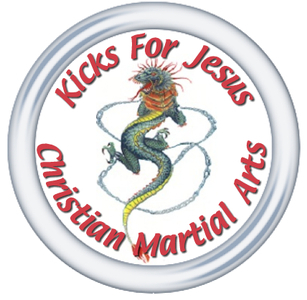 Kicks for Jesus was founded by Mr. Doug McDonald in April of 1988. Click the branches tab to find a branch near you. Greatest man in history, named Jesus, had no servants, yet they called Him Master. Had no degree, yet they called Him Teacher. Had no medicines, yet they called Him Healer. He had no army, yet kings feared Him. He won no military battles, yet He conquered the world. He committed no crime, yet they crucified Him. He was buried in a tomb, yet He lives today. If you need special prayer email your request to kicksforjesus@frontier.com we will pray over every request. generosity and prayerful support of God’s work at Kicks for Jesus. All donations are tax-deductible. God loveth a cheerful giver."